Can you believe the 2014 Grand Slam season is already over? We had a blast attending the 2014 US Open. The Serbian stunner had a disappointingly short stay at the US Open. However, her little-black-dress was oh-so appropriate for NYC. Too bad she didn't get to play at night, under the lights in the City. Mirjana had one of the most surprising wins of the tournament. The 32-year-old knocked out the Second seed and had her strongest performance at a major in 16 years. Unbelievable! She also looked great wearing this purple Nike kit. Most of the Nike ladies were wearing blue outfits, suggesting that Lucic-Baroni was slumming it by purchasing her purple kit off the rack. This EleVen design featured a fun pattern which looked lovely against New York's blue courts. Vania sported a fun, youthful design from Minx, a newcomer in the tennis-apparel scene. Unfortunately, the young American had to take-on the World no. 1 and eventual champion, Serena Williams, in the 2nd round. All hail the Queen! Serena won her 6th US Open crown and 18th overall major at the end of the fortnight in NYC. She did it Cheetah-print. One day, we'll need to do a fashion retrospective of Serena's bold Grand Slam outfits. Remember the denim outfit at the 2004 US Open? Or, the gladiator look at Wimbledon 2004? 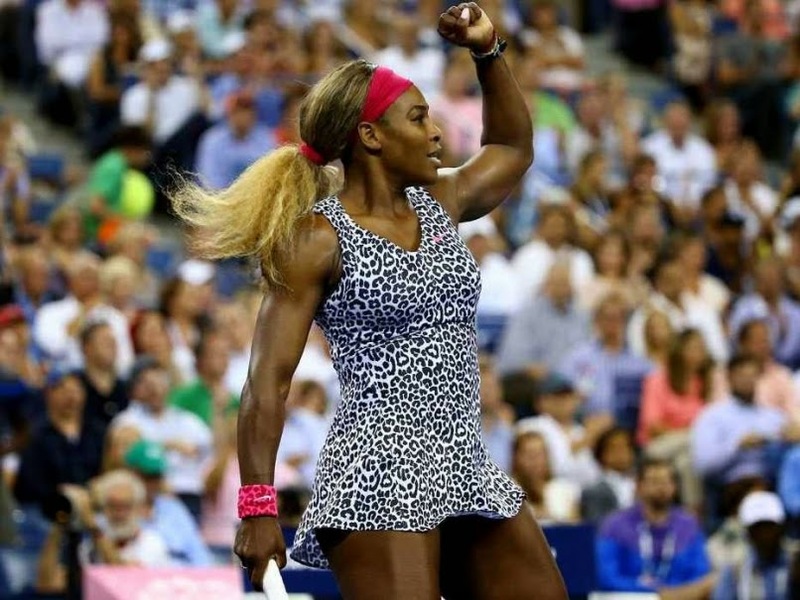 The Cheetah dress brings to mind Serena's last cat-inspired outfit; the infamous cat suit from the 2002 US Open. In any case, Serena looked glam as she claimed her 18th major title and $4 million paycheck.